I'm Featured in DIY Decorating Addict Digital Magazine! DIY Decorating Addict digital magazine! Wow, wow, wow! The magazine is available exclusively on the Apple newsstand on your iPad, iPhone or iPod. 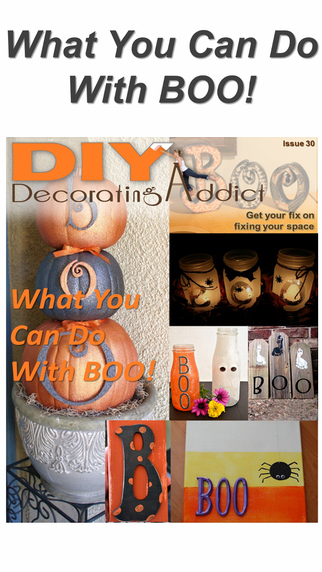 Go to this link for a free 3-month subscription for instructions: http://diydecoratingaddict.com/get-3-free-issues-diy-decorating-addict-magazine. I want to thank Diane Corriere, Publisher, for this honor and wonderful opportunity! Gail, Thank you so much for your contribution to my magazine and for sharing it with your visitors. It was great working with you. That is awesome Gail. I am off to explore. You totally deserve such an honor. Thanks so much for your comforting words about our Lacy. Have a great weekend. Congratulations! I know a celebrity! Congrats my friend!!! You are a special lady.